Homemade all natural soap & skincare from Long Island, NY. One of our best selling products! 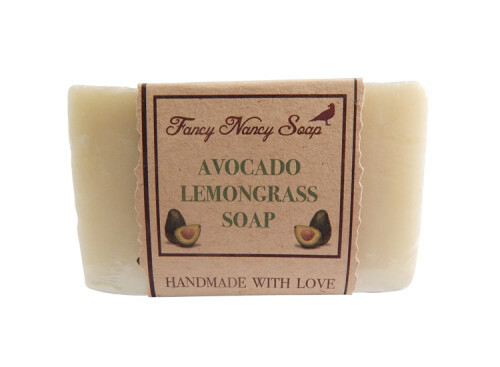 Smells like creamy avocado, fresh lemongrass, and a hint of patchouli. This soap is great for both men and women! The humectant properties of avocado oil will prevent your skin from drying out this winter. Listing is for one 5 oz bar of soap. © Copyright Fancy Nancy Soap 2016. All Rights Reserved.